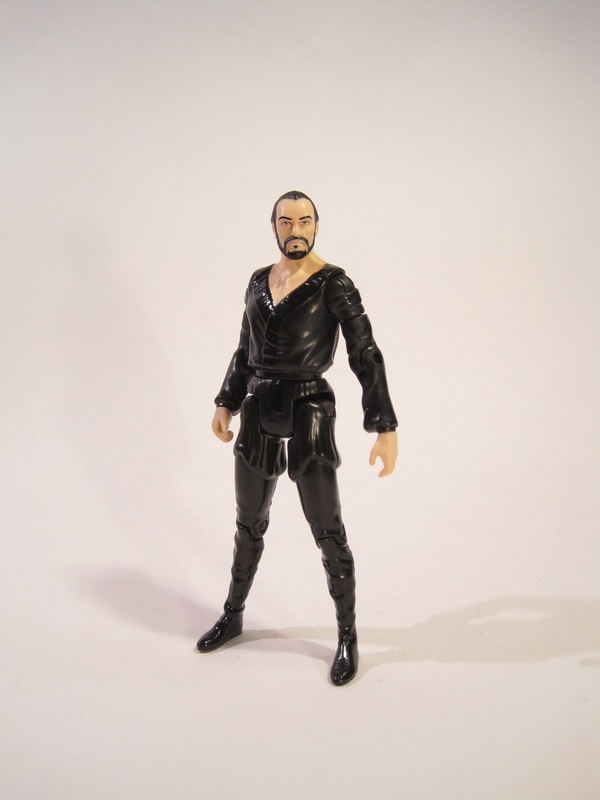 General Zod was released as part of the second assortment of Mattel’s DC Comics Multiverse line. He’s based on the version of the character as portrayed by Terrance Stamp in the first two Christopher Reeve Superman movies. He stands about 3 ¾ inches tall and features 17 points of articulation. It might seem like a decent count, but he’s lacking basics, such as thigh and waist swivels, or any kind of ankle articulation. This results I n the figure being rather stiff looking. The slightly odd posture and proportions of the sculpt don’t really help the stiff-ness. The legs are a bit too long, and definitely too thin, and his waist seems like it seems too high up. The head isn’t terrible. It does bear a passing resemblance to Terrance Stamp, though he’s kind of a bit generic. His face seems to be a little chubbier than Stamp, but it’s not bad for the scale. The paint on Zod is okay, but not amazing. The uniform is fine, and they’ve done a nice job differentiating between the sheen on the materials, so there’s that. The face paint isn’t the greatest. The beard is the worst; it looks a bit like it’s been drawn on his face. The eyes and eyebrows are pretty good work, and the hair is cleanly painted at the very least. He would certainly benefit from a few streaks of gray in his hair, though. 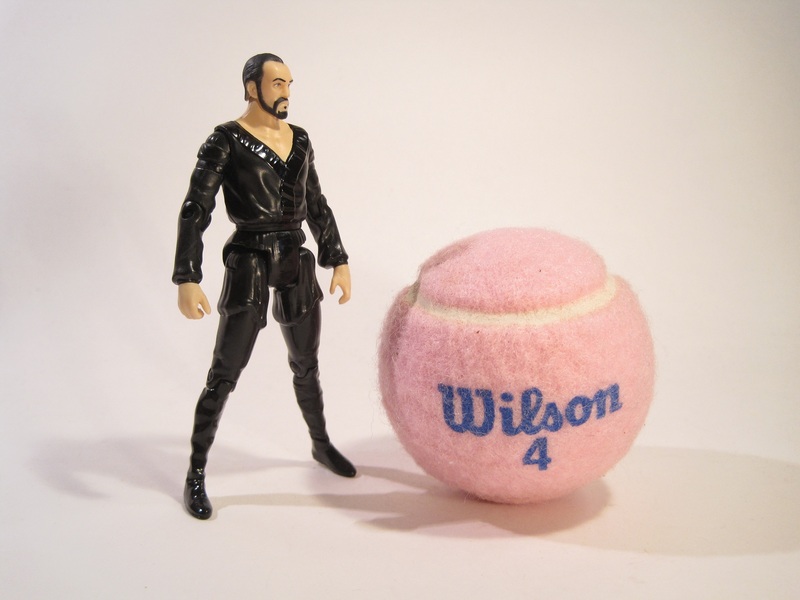 Zod includes one accessory: the machine gun he destroys shortly after arriving on earth in Superman II. 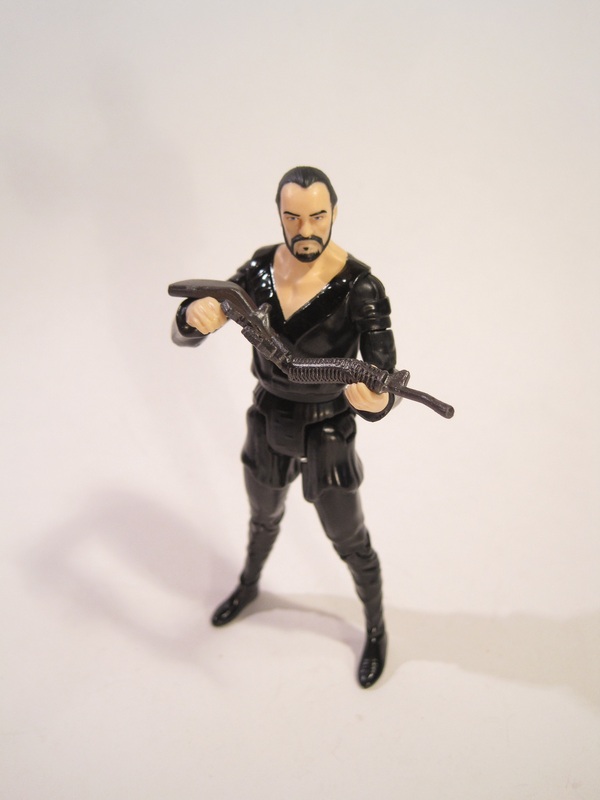 Zod was one of the gifts I received for my birthday this year, given to me by my parents. It was actually a slightly late addition to the Birthday haul, as my dad forgot he had gotten it for me. It’s not a terrible figure, and I feel certain I’ll like it a bit more once I have the accompanying Superman. That being said, he is a slightly disappointing figure, especially for the price and compared to what others have done with this scale. Most wounding is the fact that Mattel seems determined to stay behind the industry standards, moving to the 3 ¾ inch scale just as it’s been largely abandoned, even by Hasbro, king of 3 ¾ inch. Still, I guess if you’re a fan of this version of Zod (and who isn’t?) you could do worse than this figure.